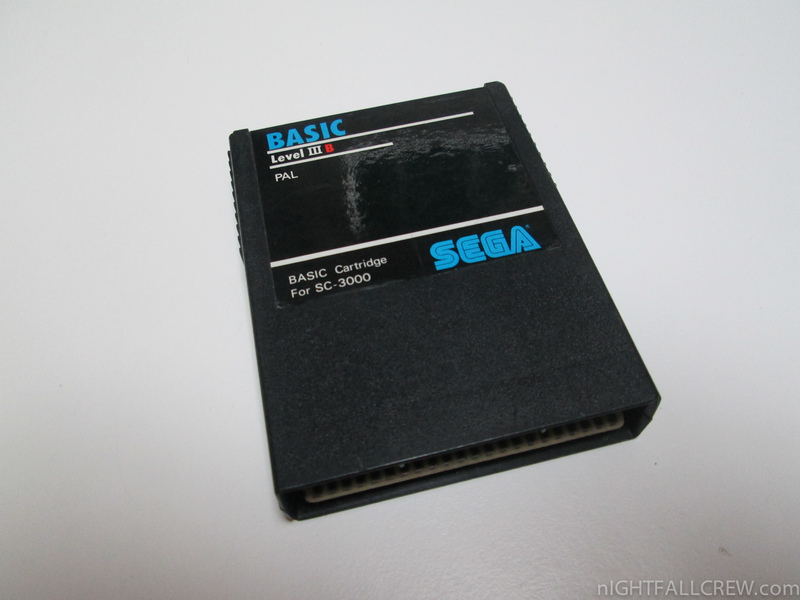 I thank my dear friend for the donation of the BASIC cartridge for my Sega SC-3000. 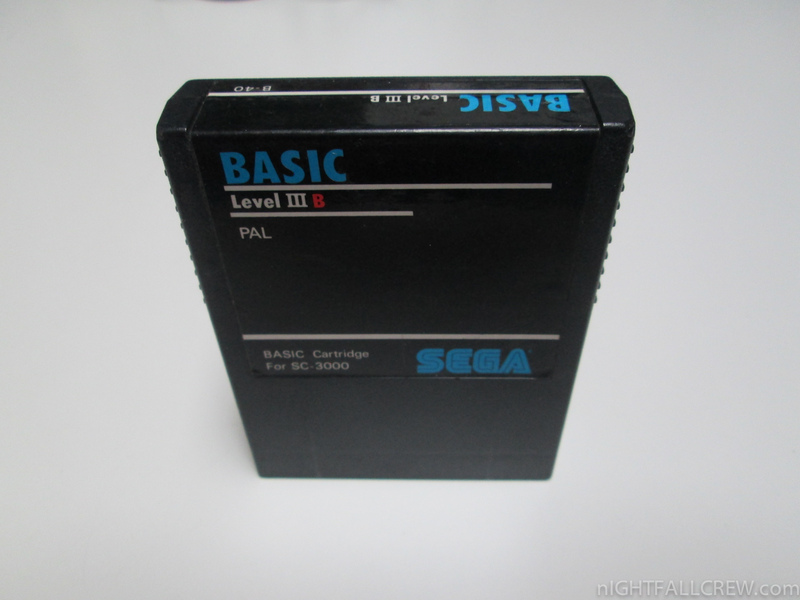 This is a gift from my brother for my birthday. 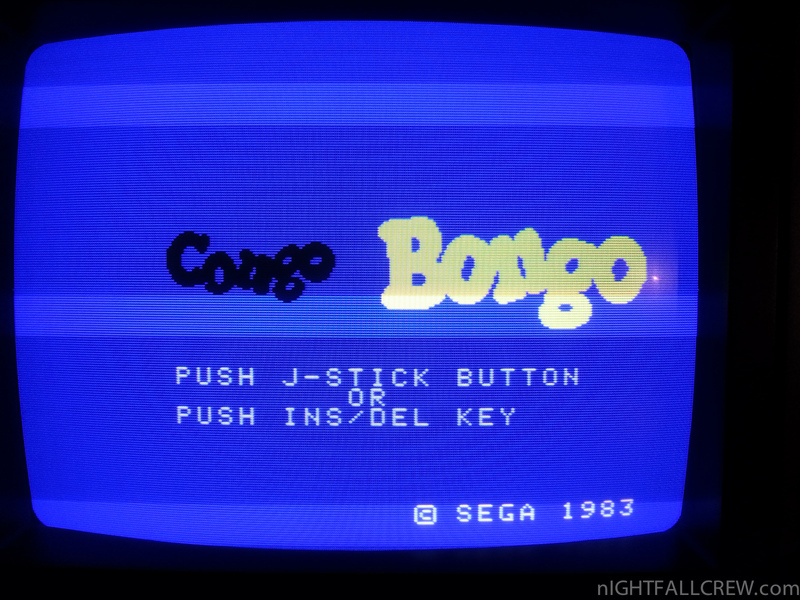 Congo Bongo (J: Tip Top (ティップタップ Tippu Tappu?)) is an isometric platform arcade game released by Sega in 1983. 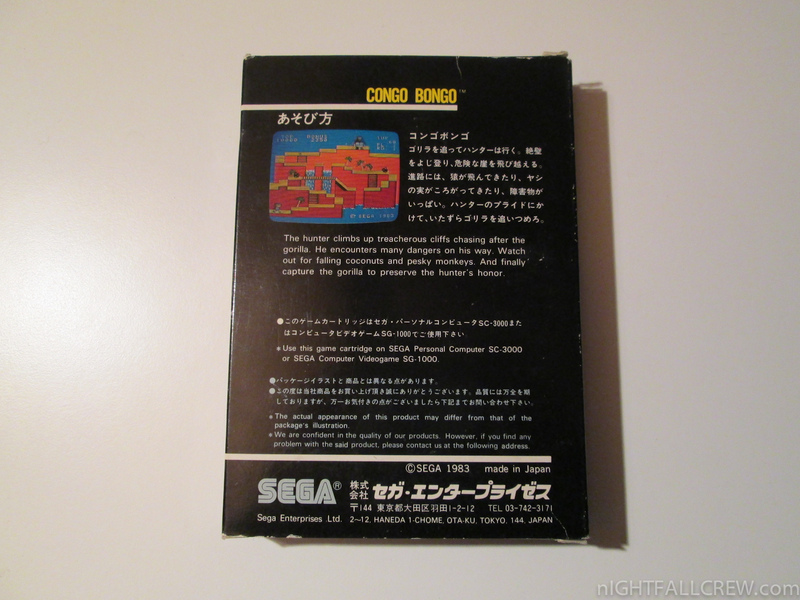 Strong evidence from analysis of the game’s ROM claim that Ikegami Tsushinki also did development work on Congo Bongo. 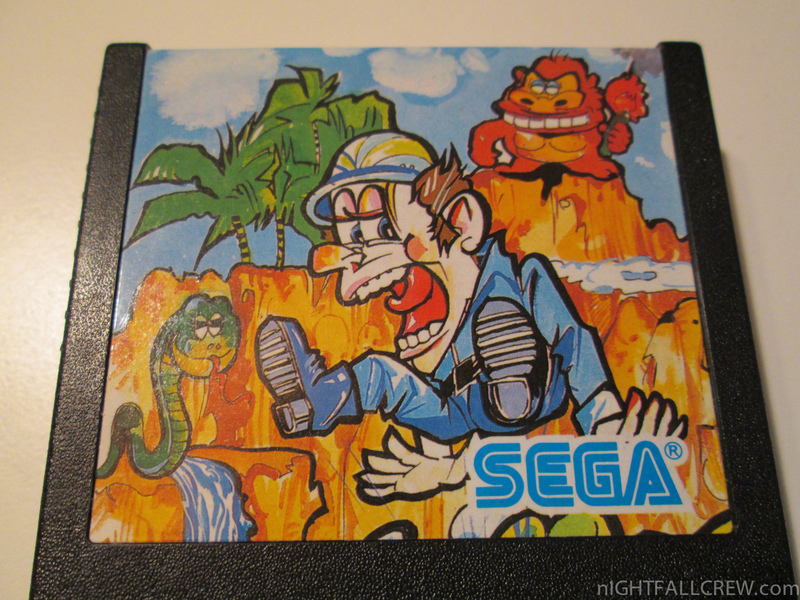 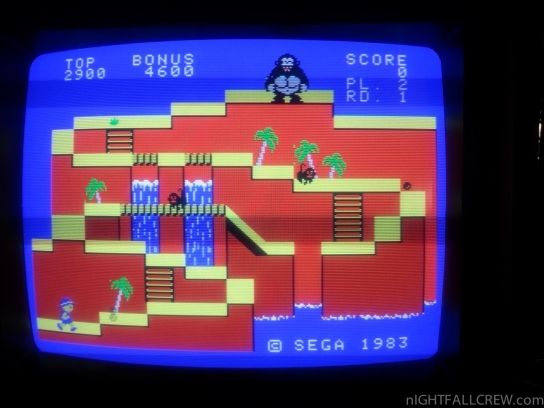 The game has come to be seen as Sega’s answer to the highly successful Donkey Kong game that was released two years prior. 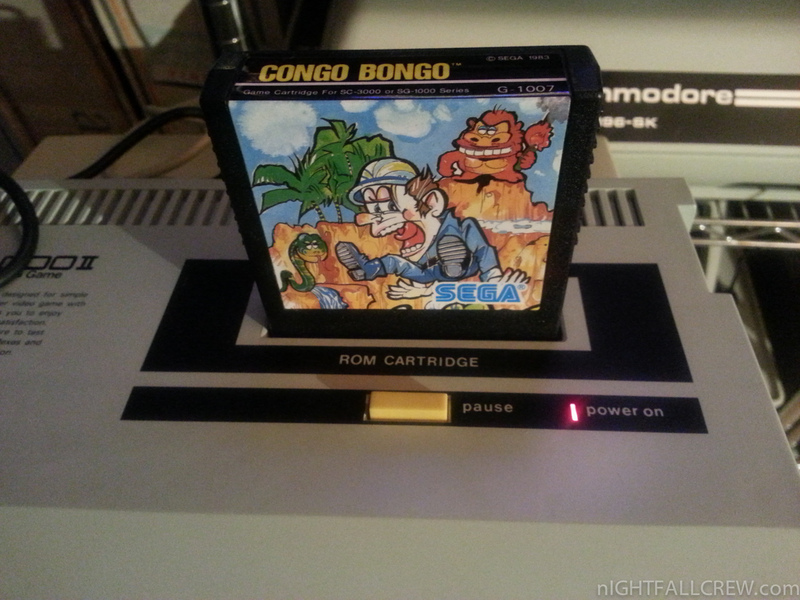 The player takes the role of a red-nosed safari hunter who tries to catch an ape named “Bongo”. 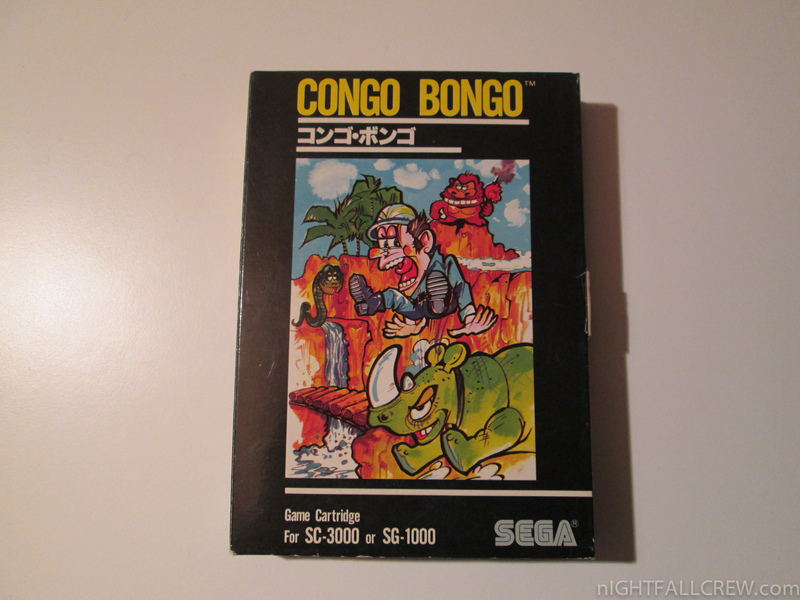 The hunter seeks Bongo to exact revenge for an apparent practical joke in which Bongo set fire to the hunter’s tent, giving him a literal “hotfoot”. 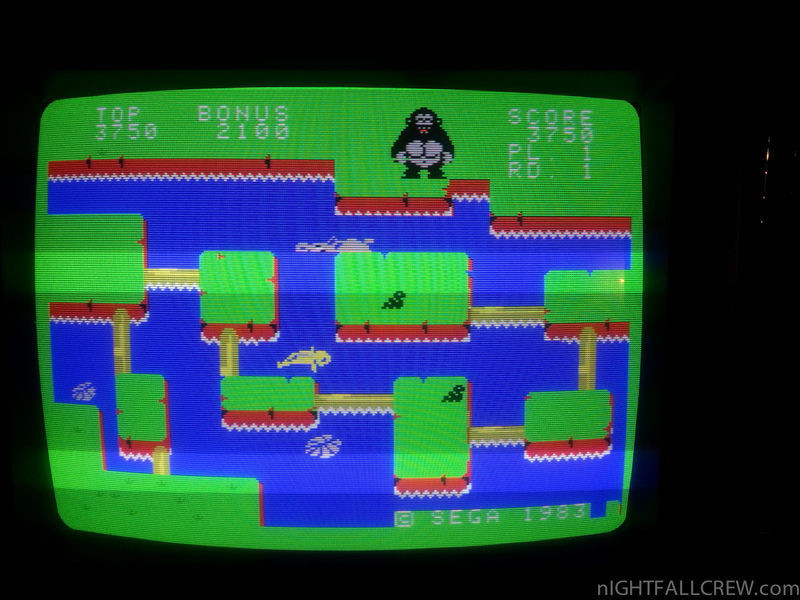 Game was named by Pete Gorrie who was the CFO at that time. 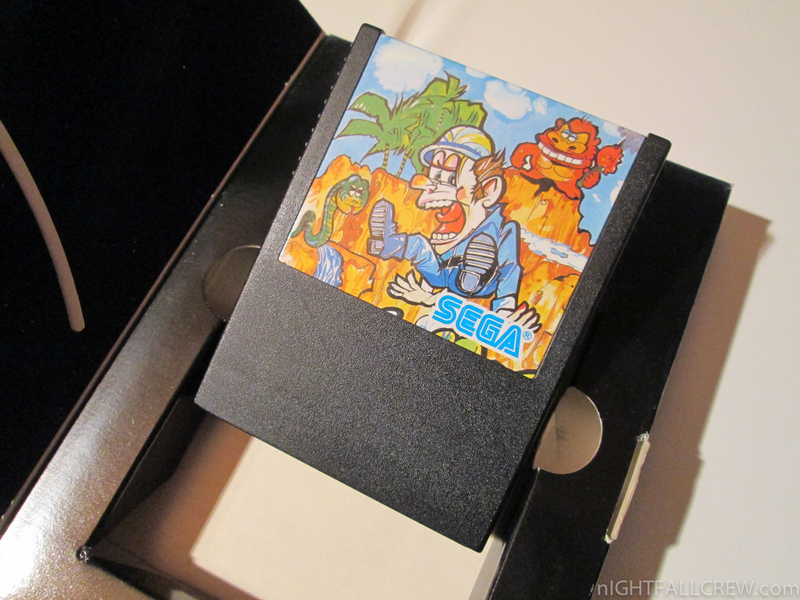 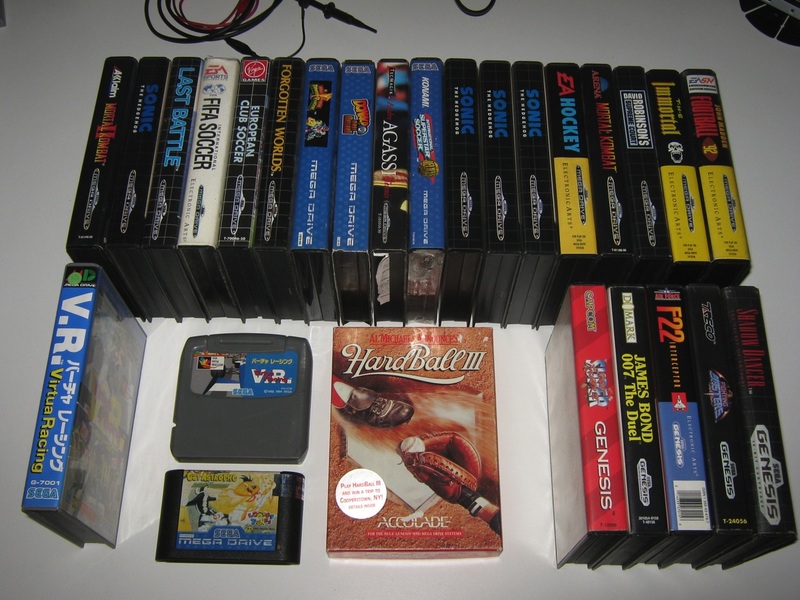 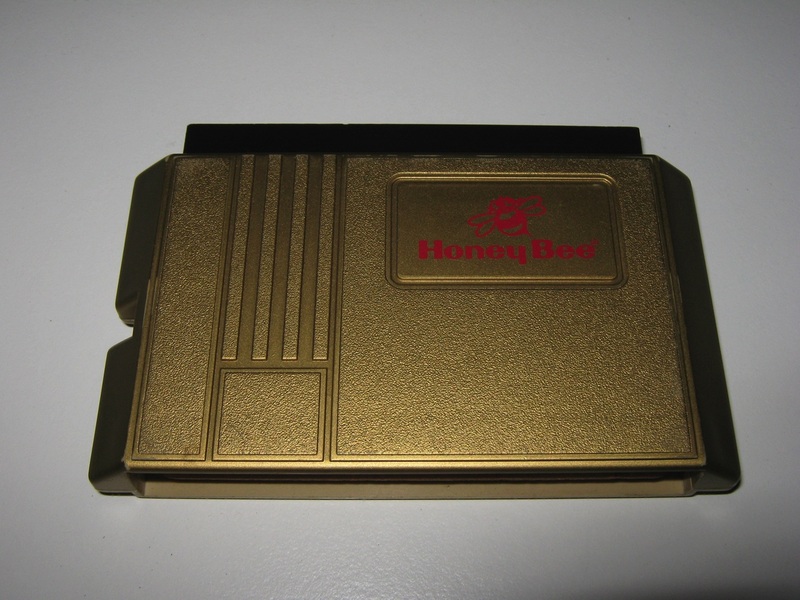 In the gallery you can found some Sega Megadrive (Genesis) games Cartridges and the famous Honey Bee adaptor. 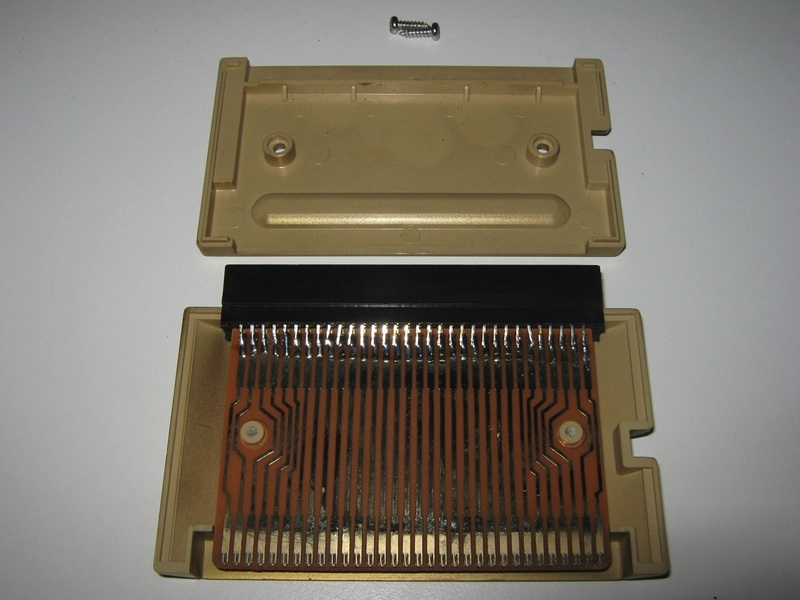 The Cartridge adaptor which enables the playing of import Japanese and Genesis games on a PAL Sega Mega Drive.